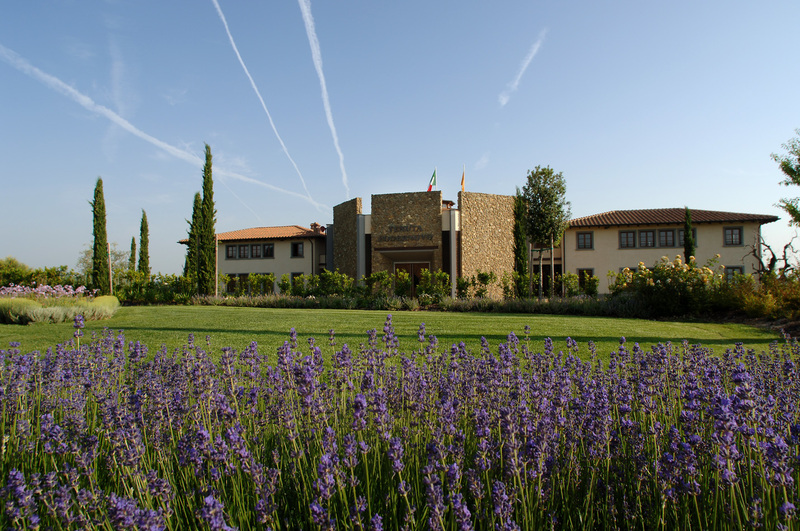 Podernovo, the Tuscan banner of the Lunelli Estates, with its architecture, essential and perfectly integrated with the surrounding landscape, is a winery with exquisite charm. Thanks to its wines, Teuto and Aliotto, the breathtaking landscape and the complex of rustic buildings which tell its history, Podernovo is a truly fascinating place. It is only natural then that it be welcomed as part of the “Toscana Wine Architecture”. A group consisting of 25 wineries; designed by leading architects, modern or restored by knowledgeable craftsman to their past splendor, which shine in six provinces of the region: Livorno, Arezzo, Siena, Grosseto, Firenze and Pisa. “Toscana Wine Architecture” is the result of a collaboration between Ci.Vin (The City of Wine Association), the Tuscan region and the Federation of Wine, Olive Oil and Tuscan Flavors roads. It is unique in Italy as an example of understanding wineries as artistic expressions.